This question of participating vs. non-participating life insurance relates directly to how your life insurance policy works for the benefit of you as the policy owner as well as your estate and your loved ones. Simply put, not all cash value policies are created the same AND it is important to understand key differences in order to design the best life insurance for you. Knowing what this concept means is an important aspect of your estate and wealth building plan. We wanted to take a moment and discuss the differences between these two different types of life insurance policies so that you’ll be better prepared to know which kind might be right for you! Cash value life insurance refers to the type of life insurance policy that allows for the accrual of cash within a life insurance policy. “Participating life insurance” is only possible with a cash value life insurance policy as distinguished with other types of life insurance that do not accrue cash value such as convertible term life insurance or most guaranteed universal life insurance policies. There are close to 800 life insurance companies in the U.S.A. That provides a lot of variety in terms of different types of life insurance policies offered. Some companies offer non-participating whole life insurance. The benefit is the non-participating policy offers the guarantees of a whole life policy, but without the additional benefit of a return of premium in the form of an annual whole life insurance dividend. The next important distinction is between the category of a whole life insurance vs. universal life insurance. Universal life may be designed as either an indexed universal life policy, variable universal life policy, or, as mentioned, a guaranteed universal life policy. There are three types of universal life. All are considered a permanent life insurance policy, although some maintenance may be required to keep your policy in force if certain market returns are not met. Universal life insurance policy owners are NOT viewed as owners of the life insurance company. This is the case even if the life insurance company is a mutual company based on how the universal policy holder’s interest is calculated. Basically, owners are paid interest instead of receiving an annual dividend as a return of premium based upon company performance. Indexed universal life policy aggregate cash values are invested differently by the the life insurance company than participating policy cash values. Generally, this feature of IUL insurance is related to the company holding these aggregate cash values in an account that is separate from the life insurance company’s general account. Variable universal life policy cash values are removed a step further from the life insurance company because they are generally not managed by the company itself. Rather, VUL sub accounts are created, which are basically mutual funds, which are managed by third parties. Term life insurance coverage can never be a participating policy because it never accrues cash value. Often referred to as “renting a death benefit”, term life insurance has relatively low initial premium payments and is a great way to secure a death benefit payout for your beneficiary for the limited term of the policy. Term insurance is a great deal for the insurer, since the vast majority of term policies expire. However, for the insured, it is a small price to pay for peace of mind and certainly a better choice than having no life insurance coverage at all. Whole life insurance, also known as, dividend paying whole life insurance, is typically a participating life insurance policy, although there are companies that offer non-participating policies for whole life. But not every company has to be a mutual company to offer participating whole life. For example, mutual holding companies are NOT technically a mutual company. Likewise, stock companies operate under another ownership structure akin to most corporations, where the insurer must also answer to its shareholders. Although mutual companies are owned by the policy holders, stock companies who offer whole life products allow for participation and pay annual dividends to whole life policy holders in the same way. And mutual holding companies are a hybrid of mutual companies and stock companies. The logic is fairly simple if you ask why anyone would purchase a whole life policy that is not participating. So, your choice of mutual life insurance company vs. a stock company is perhaps more like splitting hairs, except, why would you opt to go with a stock company when you can go a with a mutual one? This is your question to answer as you research the top permanent life insurance companies out there. A mutual company answers to you, the participating policy owner. In contrast, a stock company is on the lookout for its shareholders. As a result, you may find a mutual company’s pursuit of more stable, consistent, low risk returns a better option for housing your cash value, then a company that is focused on producing shareholder returns. Most people choose participating policies for their reliability and life insurance tax advantages related to policy growth. To be sure, the tax advantages combined with the availability of life insurance policy loans to fund various needs and ventures presents an attractive option for policy holders. Additionally, a guaranteed death benefit and guaranteed cash value growth distinguishes participating whole life insurance from other types of coverage. Your insurance premiums grow your cash value, which acts as a glorified savings account. As the cash value grows, the death benefit also grows.You can access your cash value by borrowing against it and taking out a policy loan. Your annual dividend payments can be used in various ways, such as paying your premium payments, buying paid-up life insurance, or as cash for anything you desire. Buying paid-up insurance is a great way to use your annual dividend payment to grow your policy’s cash value and death benefit. Possible downsides to consider, and probably the most common objection by detractors, is the cost of insurance for participating whole life policies is relatively high. We often equate the upfront cost during the early years by drawing an analogy between cash value life insurance and real estate. Expense during the early years can result in great equity and tax advantages years down the road. Whether you accept this logic may depend upon whether you view whole life insurance as an asset. Another cost aspect of participating whole life is that these policies are fixed premium insurance contracts, so they should be designed to fit within the policy holder’s budget. Other types of life insurance such as universal life policies, discussed above, offer flexible premium payment plans that may be more appropriate for those who need it. Deciding What Type of Policy is Right for You? Deciding on the type of policy that is right for you isn’t always an easy task. Some important considerations are your risk tolerance and the focus of your overall estate plan and wealth building life insurance program. Term insurance coverage is more akin to renting an insurance policy. It is not a viable long term option. Universal life policies, both indexed and variable, provide an opportunity to participate in the financial markets where participating whole life policies do not. So the question becomes one of safety verses flexibility and additional growth potential. If a safe bucket investment is desired, then participating whole life coverage may be your preferred choice. 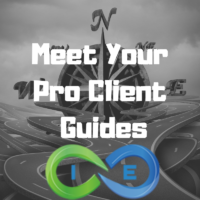 That we here at I&E have a ton of experience helping folks navigate through all of their options and know that in most cases, once the different policies are explained properly, the choice as to which policy will be the “best” for a particular client becomes quite clear. Do we know what kind of policy is going to be the “best” for you? Not at all, that is a decision that can only be made by you, but what we can do here at I&E is provide you with all the information you’ll need to decide for yourself and assist you with any questions you may have along the way. So, what are you waiting for? Give I&E a call today and see what we can do for you.